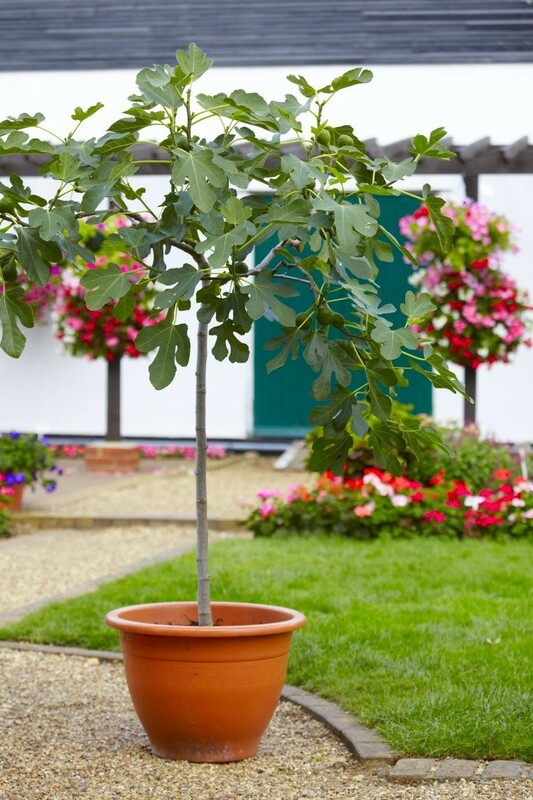 A gorgeous large 5-6ft specimen fig tree, providing a compact version of a full sized tree, this has been grown and trained to a well established tree and would be ideal for planting up in a large hald barrel container on the patio or set out in the garden. It is of fruiting size, so if you have restricted space, like instant results, and have always wanted a fig tree, then this is for you. It would also make an ideal gift, and if you don't want to restrict it in a pot, you can simply plant it out in the garden, and allow it to grow into a full size tree. Supplied in approx 5 Litre containers, at approx 150-180cms (5-6ft) overall height.